Fused glass Lantern workshop - joannahedleys jimdo page! 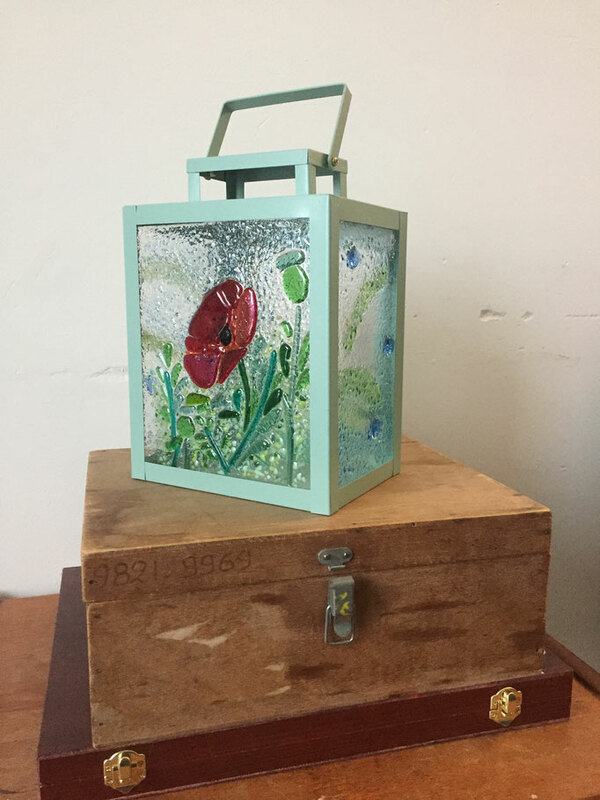 In this workshop you will design and decorate the 4 sides of your beautiful ornate lantern. 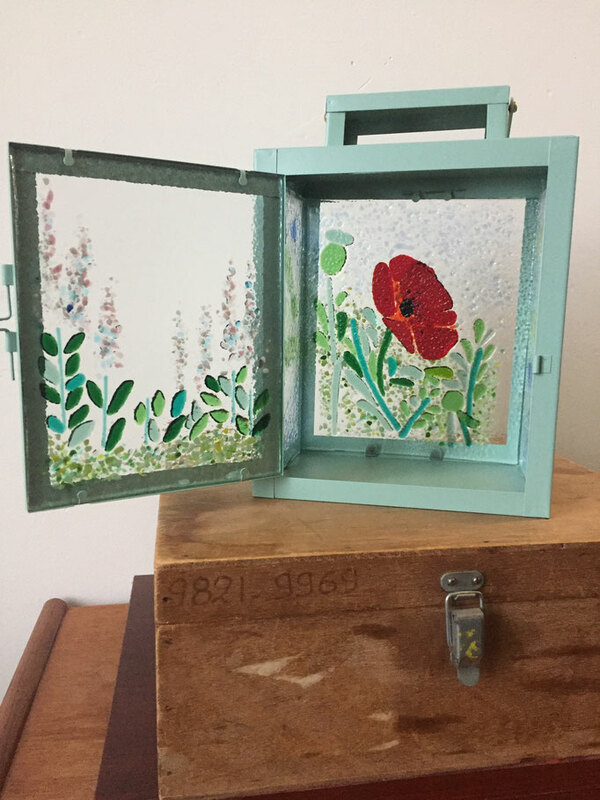 You will learn how to cut and shape glass, use powder, frits and stringers to create your design. There are 3 places on this course, sessions usually run from 10 am- 4 pm. Please contact us to arrange a suitable date for your session!